Our design team is constantly designing new equipment which incorporates the latest Air Circuit Breaker technology to replace either worn out or dangerous circuit breakers, in particular the range of 'Manually Dependent' oil circuit breakers manufactured before 1970 and still in use in vast numbers within the countries manufacturing industry. We have achieved, in the majority of cases, provision of a self contained cubicle which replaces just the circuit breaker itself and mounted on existing framework utilises the original power connections without the need for any alterations to the fixed portion of the switchboard. The obvious advantages to this way of updating our switchgear are: no need for lengthy shutdown periods (in some cases the conversion can be done without any shutdown of circuits other than the ones being changed); can be done over a period of time to spread the initial costs; no need to disturb power cables, etc. Our support for obsolete switchgear is forever increasing. 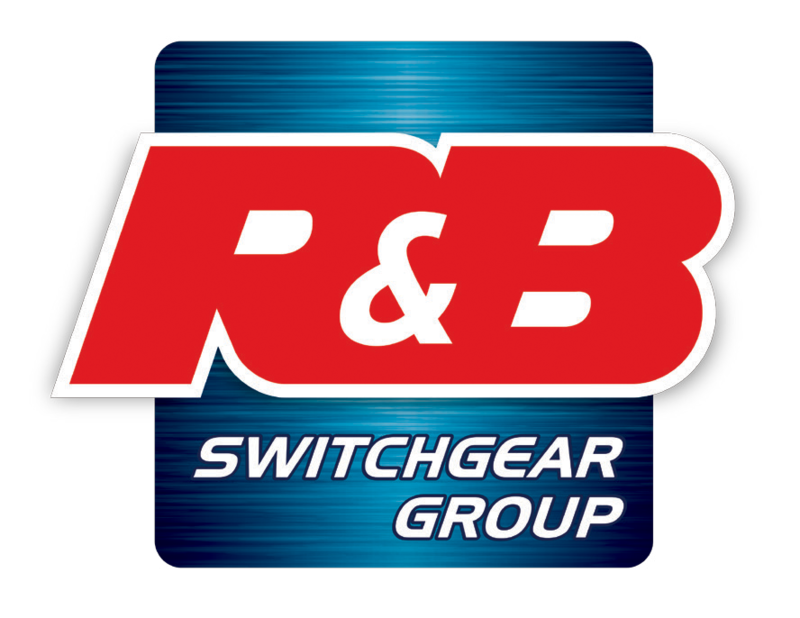 If your switchgear is obsolete and is not specified by the manufacturers above, We would be more than willing to discuss how we can provide the best solution in upgrading your switchgear. 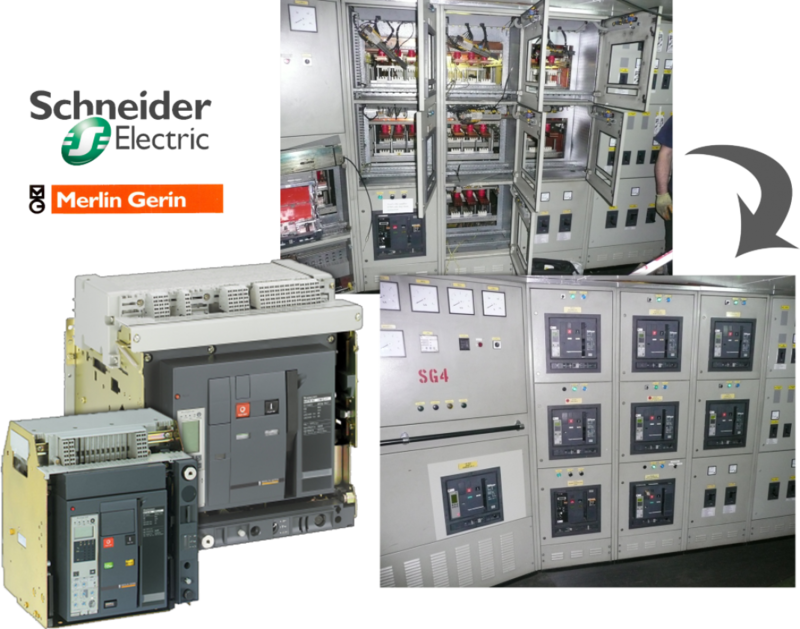 For customers who have any Merlin Gerin ACB’s of Types ‘DA’ or Masterpact ‘M’ of any configuration in either 3 pole or 4 pole with Horizontal or Vertical connections. R&B Have the solution to retrofit these units and replace them with the current range of ACB’s from the Schneider Masterpact ‘NW’ and ‘NT’ Range of ACB’s. We have developed the full range of rear connections to allow the replacement of any of the heritage range to the current range without the need for any on-site Busbar Modifications. These connections are supplied along with the ACB, Cosmetic and Insulation Barriers to achieve a safe and well engineered solution to the replacement of these old types of ACB’s into existing switchboards on Marine, Offshore and Industrial Installations. 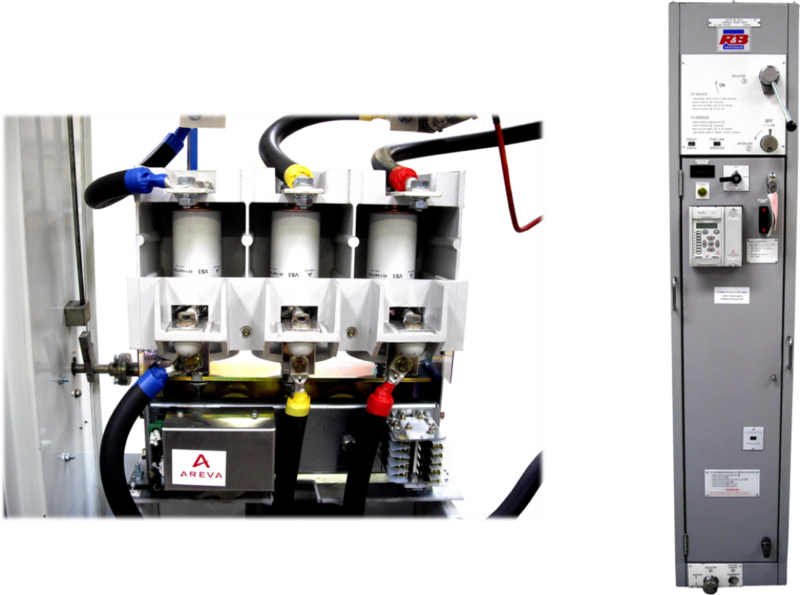 In recognising our customers needs to support old and obsolete circuit breakers on site, have designed a Vacuum Retrofit (AREVA CLX3) for the 3.3kV / 6.6kV Lawrence, Scott& Electromotors Motor Switching Device. The retrofit consists of installing a AREVA CLX3 Vacuum Contactor within the existing Lawrence, &Electromotors carriage. All main interlocks have been retained in the modification to prevent the retrofit being installed or removed from the switchboard whilst in the closed position. By carrying out the retrofit in this way it alleviates the necessity to modify the main switchboard busbars etc. This method, in our opinion is by far the most cost effective solution for upgrading the switchboard on site to guarantee future support and reliability for many years to come. As part of the Retrofit package, customer’s drawings are updated on CAD to contemporary standards producing standard drawings for each circuit type.